Over the next few months Salford Carers will be working hard to reach as many carers in Salford as possible, let them know what's happening and how they can get involved. Did you know we had two Twitter accounts: :@salfordcarers1 and @YACSalfordCarer we've also got a brand new Facebook page: Salford Carers Centre - gaddum we'll be posting all our events and activities there. ● To be identified as a carer as early as possible, be informed, be respected and included by health and social care professionals. ● To have choice and control about your caring role, get the personalised support you need as a carer to meet you and your family’s needs. ● To be able to stay healthy and well yourself, and for your own needs and wishes as an individual to be recognised and supported. ● To be socially connected and not isolated. ● To be supported to fulfil educational and employment potential, and where possible in maintaining employment. ● If you are a young carer or young adult carer, to be supported so you are able to thrive and develop educationally, personally and socially, and you are protected from excessive or inappropriate caring roles. ● Valued, respected and recognised as ‘experts by experience’, in monitoring and reviewing services, and coproduction to redesign, commission or procure carer support services. ● Supporting and developing training programmes to raise the awareness and understanding of the needs of carers and their families, and of local carer support services for health and social staff and partner organisations. ● To ensure that all carers receive the right support, at the right time, in the right place, including when caring comes to an end. ● To ensure all carers will be respected and listened to as expert care partners, and will be actively involved in care planning, shared decision-making and reviewing services. Greater Manchester Health and Social Care Partnership, local authorities and voluntary and community organisations are committed to working together in partnership to provide the best quality support for all carers, through our commitment to carers and action plan. 18 carers aged 24 and under from across Greater Manchester meet in late January to design a questionnaire to send out to young people across the region. The survey is to look at the issues and opinions of young carers, known and hidden, so they can influence the continual development of the Greater Manchester Carers Charter. 7 of the regions LAs were represented and the young people worked well all day with the support of Laura Edwards and Lewis Nelson, young workers attached to the Salford Young Carers Team. The questionnaire they produced is impressive covering issues from Isolation to education from family support to poverty. They now need your help. If you work in Greater Manchester with young people, in either youth or educational settings, tell young people about it, support young people in accessing and completing it. This is the biggest test of young carers views ever carried out in the region, its being organised by young people, now they need you help. The survey is for all carers aged 24 and under-there is no lower age limit as sadly caring never picks an age it picks a person. Please can you share this across your networks or with anyone that you think would be interested in the role? The Service Manager will be primarily responsible for the operational management and direction of Salford Carers Service provided by The Gaddum Centre. To manage the Salford Carers Service; ensuring high standards and value for money. · Managing, developing and promoting the Salford Carers Service to provide effective support for unpaid carers in Salford. · Managing the staff of Salford Carers Service. · Developing the service in line with any contract specifications and Gaddum Centre strategic development plans; local regional and national. · Developing and maintaining service user involvement, including but not limited to; forums for carers, feedback and evaluation of services, carers involved in service development. · Ensuring Salford Carers Service is delivered within financial budgets. · Supporting the delivery and development of additional projects located with the service. · Developing an action plan for income generation in conjunction with Business Development Lead and the Senior Management Team. · To be responsible for the management of the Salford Carers Service in line with the contract and service specification awarded by Salford City Council. · Operational management of annual leave, sickness & absence, office cover Health & safety, expenses etc; holding regular team meetings for staff. · Ensure compliance with recognised Quality Assurance system. · Ensure Information Management system is used by all staff, with support and training as appropriate. · Compile any necessary reports as required by the Assistant Head of Services, Senior Management Team and commissioners. · Attend appropriate external meetings as required by the Assistant Head of Services or Senior Management Team with commissioners and key partners. · In conjunction with the Assistant Head of Services, Senior Management Team and Salford City Council undertake review and planning of the service. · Develop and maintain effective partnership working and links with key stakeholders and other service providers. 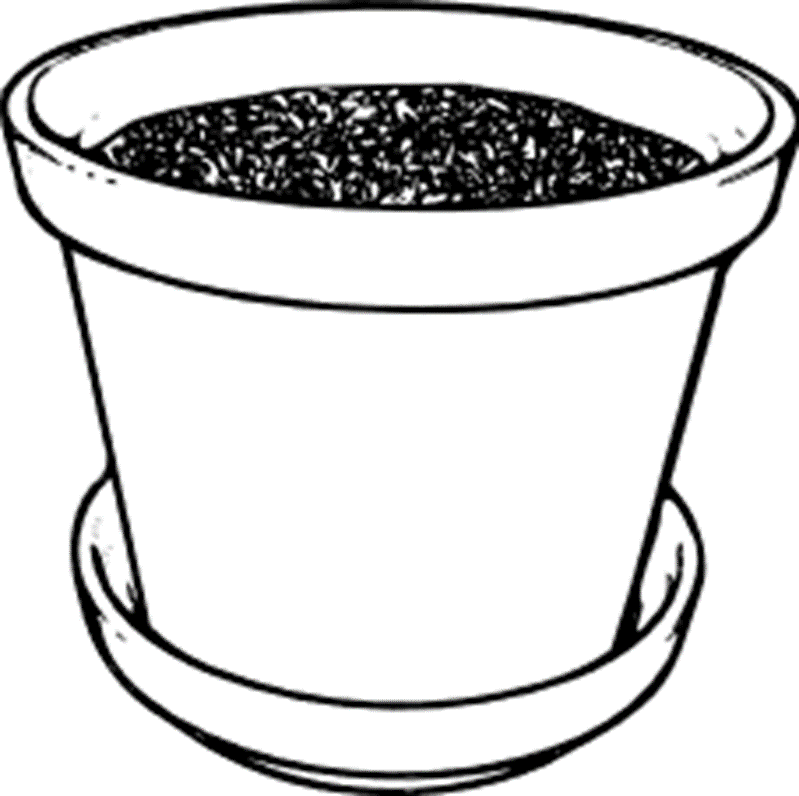 · To develop service user involvement forums for carers of all ages. 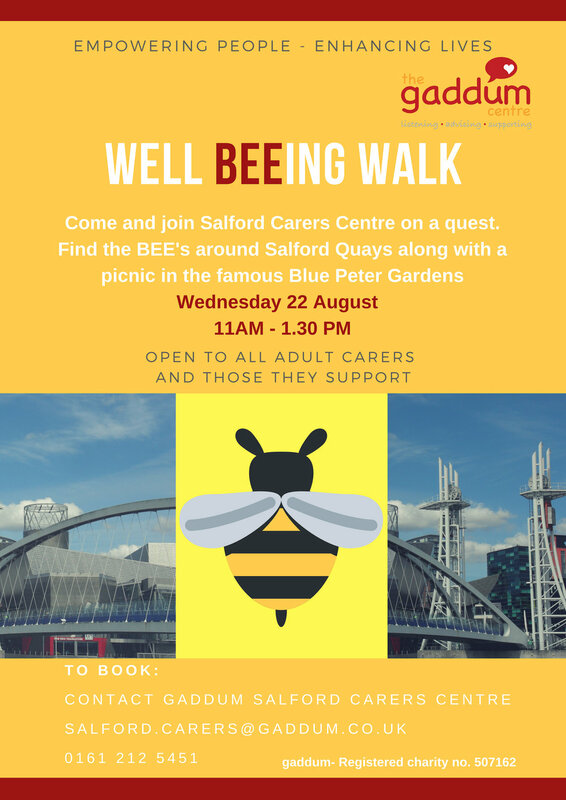 · Promote Salford Carers Service throughout Salford and to external organisations. · Monitor, review and update information relating to Salford Carers Service including promotional materials and production of an e-bulletin. · Ensure a high quality service is delivered meeting all specifications agreed within contracts. · To attend, engage with and contribute to Service Managers meetings. · To keep abreast of relevant policies and legislation relating to the service. · To oversee the leadership of the Salford Carers Service. · Ensure that all staff are managed and developed through supervision and professional development. · To develop a culture for Salford Carers Service promoting inclusion and effective team work. · To support with the recruitment of staff and promoting active service user involvement in the process. · To hold effective team meetings and ensure robust monitoring of activities. · To ensure implementation of induction and on-going training. · To ensure open and effective communication with all staff in Salford Carers Service and Gaddum Centre. · To identify and develop carers services at Gaddum Centre in conjunction with the Assistant Head of Services and Senior Management Team. · To be actively involved in development of future tender submissions for Carers services. · To identify and apply for additional resources and funding stream for carers services, involving the Assistant Head of Services. · To develop service user involvement in in design and development of service models, participation and service planning. · Effectively monitor and evaluate provision on a regular basis and implement changes to improve the service. · Develop a training strategy for the service to both promote the service and generate income. · To support the development of the volunteering scheme for the service. · To work with the Gaddum Centre, Assistant Head of Services and Finance Manager to ensure Salford Carers Service operates within agreed budgets. · To monitor expenditure including expenses, events and activities and funding awards, ensuring best value for money. · Identify funding opportunities and work with Chief Executive and Assistant Head of Services to develop applications involving Salford Carers Service staff as appropriate. · Complete reports as required by Chief Executive, Assistant Head of Services and commissioners. · To represent Gaddum Centre and participate at external meetings and events to maintain awareness of local, regional and national issues as required by Assistant Head of Services and Chief Executive. · To meet regularly with Assistant Head of Services for supervision and support. · To organise and attend meetings as required by the Assistant Head of Services. · To undertake additional duties within competence of post holder as required by Assistant Head of Services or Chief Executive. · Give presentations and talks about work of Gaddum Centre as required. · Flexible approach to working patterns to suit the needs of the role and responsibilities as required. · All other duties reasonably associated with your role. The details contained in this job description, particularly the principal accountabilities reflect the content of the job at the date the job description was prepared. It should be remembered, however, that it is inevitable that over time the nature of individual jobs will change; existing duties may be lost and other duties may be gained without changing the general character of the duties or the level of responsibility entailed. Consequently, this job description may be revised from time to time. Please request Person Specification when asking for the application form. Salford City Council are running a survey to collate the views of carers aged 16 to 24 on the services they receive and looking at what their priorities are. This is your opportunity to be heard-are your issues/priorities the same as the people who commission services? What is missing from your point of view, what could be better? Your Service so please have your say. If we know you already you will have received the survey in the post, but if you are a carers aged 16-24 and are not registered with us that's ok you can still complete It as long as you live in Salford, then if you want to access any support just ring us on 0161 212 5451 and ask to speak to a members of the young carers or young adult carers team. 1. They have made a donation towards Christmas activities for young carers which again this year will cover taking up to 60 young carers to our special pantomime night at Salford Arts Theatre in December. 2. They have also agreed a grant to cover all the costs of the allowing the 4 young carers involved in the development of the "Who Cares" play to make 4 "live" appearances during the national tour meaning they can visit Penrith to run sessions for school pupils and attend the final show of the tour at the House of Lords. A great supporter of young carers, and young people in general in Salford, a lot of what we do would not be possible without the continual support from The Booth Charity and we are proud to be associated with them. It is Carers Rights Day on Friday 24th November and to give as many carers as possible access to information, advice, support and for new carers to register Gaddum's Salford Carers Centre has decided to turn it into Salford Carers Rights Week! Also on Friday 24th we will be taking part in the regional event in Manchester run by GM Carers Partnership, of which we are a member-This event includes consultation sessions, fun events and lunch. Hope to see as many of you as possible over the week, old friends and new.